THE 2018 budget is a clear indication that the Government is serious about growing the economy and boosting the country’s business environment to bring in much needed revenue to fund the K14.7billion financial plan tabled last week. 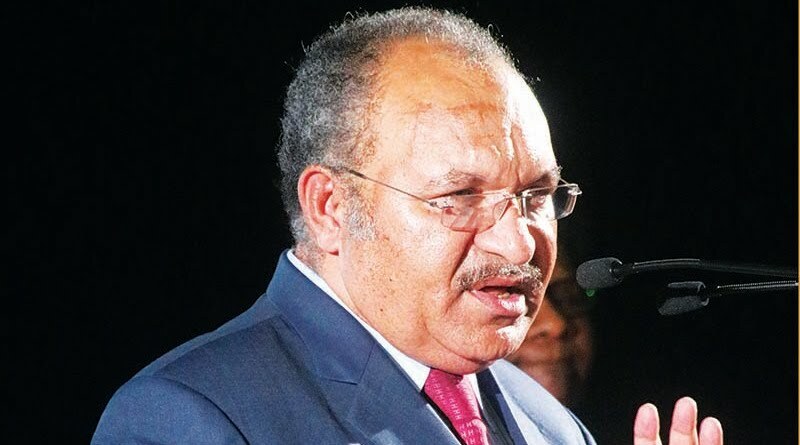 “The international investors and people of this country should not be misled that next year’s money plan is ‘not a fake budget’, any government budget is real,” Prime Minister, Peter O’Neill criticised the Opposition’s negative response this week by Shadow Treasury Minister, Ian Ling- Stucky who remarked K14.7billion money plan for 2018 was ‘fake’. “I say this because the budget is now putting us on a road to make sure that this country’s economic base and growth will be such that it can be self-sustaining. “So it is quite disappointing that some of the terminologies that Ian Ling-Stucky used are unbecoming of the leaders of this honorable House. “We have to be careful of how we portray the image of our country, our parliament and ourselves,” he told MPs during the final parliament sitting for this year on Tuesday. He said sometimes for short political convenience and point scoring, politicians say and do things that are not really in the best interest of the country.